So how did Japanese fortune cookies end up in Chinese restaurants? That’s a bit of a mystery. As of World War II, fortune cookies were already a regional specialty served in Chinese restaurants in California, particularly in San Francisco, which was the busiest West Coast port for the war. Military folks passing in and out of San Francisco encountered fortune cookies in the Chinese restaurants, and after the war they went back to places like Michigan and Iowa and asked their local Chinese restaurants why they didn’t have “Chinese cookies” like the authentic Chinese restaurants in San Francisco. Pretty soon, calls from across the country came pouring into San Francisco. 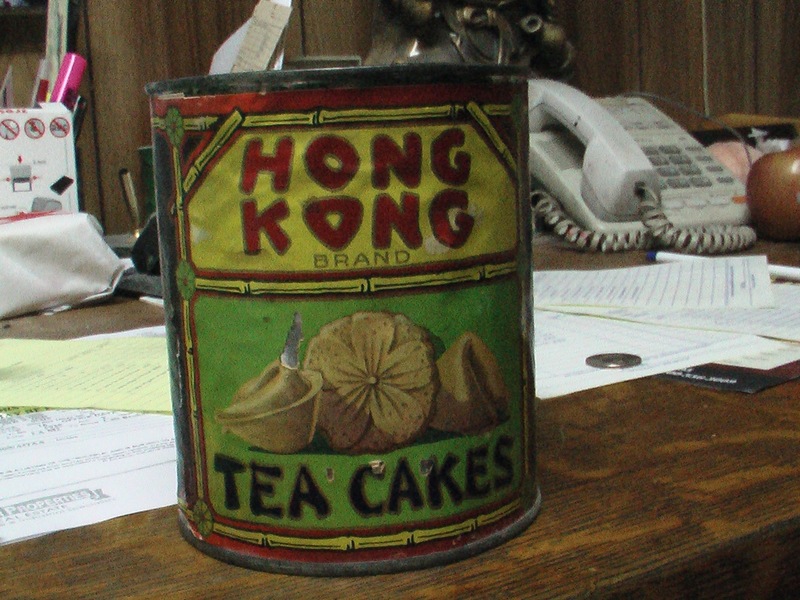 So it was fortunate that in 1946, the Office of Price Administration delisted “Chinese fortune tea cakes” (pdf) from under price controls. That tells us three things 1) they were still known as “tea cakes” 2) they were identified as Chinese by then. There were some Chinese-owned fortune cookie factories, both in San Francisco and New York in the 1930s . By the end of the 1950s, fortune cookies had taken America by storm. Some 250 million fortune cookies were being made each year in the United States (pdf). By 1960, they had become such a mainstay that they showed up in two 1960 presidential campaigns: Adlai E. Stevenson and Stuart Symington. So rewind to before World War I, you have a number of different claims to introducing the fortune cookie. By far the most prominent, and most commonly cited, is from Makoto Hagiwara, a Japanese immigrant who helped build the Japanese Tea Garden in San Francisco’s Golden Gate Park. The dates cited for his introduction hover between 1907-1914. But in fact, he did not make them himself, according to many people around the situation. He actually outsourced it to a Japanese bakery called Benkyodo, which is still operating today, now at Buchanan and Sutter Streets, but no longer making fortune cookies. (lots of mochi and manju though!). I met with Gary Ono, one of the grandsons of the original founder. He remembers playing around the old fortune cookie machine when he was young. He has even dug up kata, the black iron grills, which have the engraved letters “MH” (but look like HM because reversed) — Makoto Hagiwara? Gary has made it his mission to spread the word about the role of Benkyodo in fortune cookie world. Another early source of fortune cookies was Fugetsudo in Los Angeles, which also operates today, three generations later, though again — no fortune cookies made today but lots of mochi (including a strawberry and peanut butter one). Brian Kito, the current owner, actually also dug up the early kata, or black iron grills, in the warehouse that were used to make the early fortune cookies. He says he has one that has the American flag. Many stories about the origins of fortune cookies circulate around Hong Kong Noodle factory in Los Angeles and David Jung — some of them in The New York Times (erroneously, by Craig Claiborne, which triggered a 1983 trial about the origins of the fortune cookie). David Jung’s son used to give interviews saying how the fortune cookies traced to some ancient Chinese game about writing poetry and sayings on pieces of paper. Short story is. Hong Kong Noodle made have been an early manufacturer of fortune cookies, and probably the first Chinese-owned business to make fortune cookies in Los Angeles, and maybe in general. But David Jung did not draw the idea whole cloth out of his head and he is not the inventor of the fortune cookie. For a few reasons. According to current owners, he had a Japanese friend who helped him build his machine. 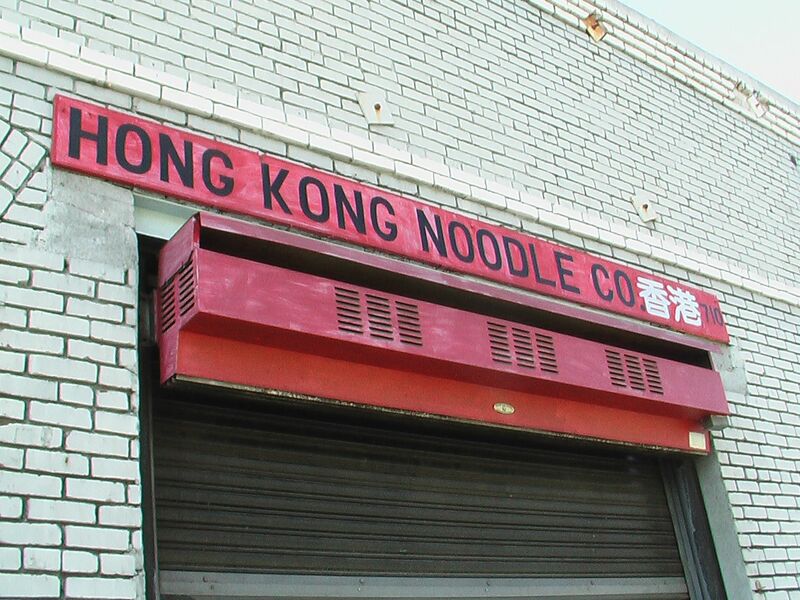 In the neighborhood where Hong Kong Noodle was located, the Chinese and Japanese coexisted in a diverse immigrant neighborhood (that changed after the war). Secondly, the called them “fortune tea cakes” — which notably is the Japanese name for what is now known as the cookies cookies. (The Chinese, remember, don’t generally serve cakes with tea). Last claim to an early role in fortune cookies: Umeya company, which was started in 1924.Originally fortune cookies were made by hand with flat roundirons—2000 cookies a day and were delivered by trucks to restaurants, stores, and fruit stands from Santa Maria to San Diego. Like other Japanese businesses, Umeya was shutdown in World War II because of the internment, but ,anufacturing resumed in Denver, Colorado in 1943 and Umeya became the only supplier of traditional sweet snacks to the internment camps. So the funny thing is that Umeya actually exports fortune cookies to Japan! How Chinese restaurants started serving fortune cookies in the first place seems to be multifold. Here are two explanations that have emerged. During the 1920s and 1930s, many Japanese immigrants in California owned chop suey restaurants, which served Americanized Chinese cuisine. 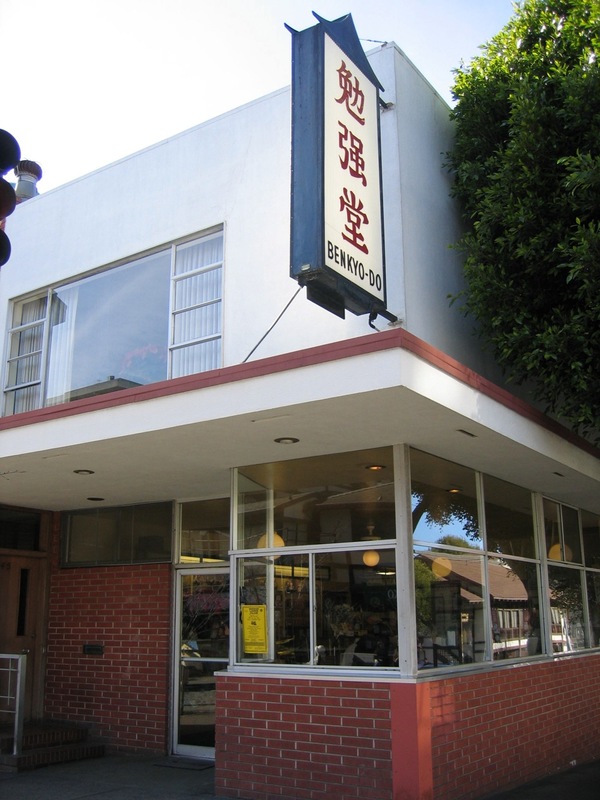 The Umeya bakery claims to have distributed fortune cookies to well over 100 such restaurants in southern and central California pre-World War II. Another story comes from a Berkeley woman named Kathleen Fujita Date, who passed on a story her mother had told her both at a 1983 trial about fortune cookies and in later interviews. In the 1920’s, Mrs. Date’s mother was having lunch with some friends in San Francisco’s Chinatown. Another woman had brought a bag of senbei from a Japanese shop called Shungetso-do at the corner of Sutter and Buchanan Streets, and the women were laughing as they read their fortunes. The restaurant’s owner, who was Chinese, grew curious and the women told him where they had found the cookies. Mrs. Date’s mother later saw the owner buying cookies at Shungetso-do, she said. In fact, she and her daughter often witnessed Chinese men buying so many boxes of fortune cookies that the shops sometimes sold out. Chinese restaurants, which had fared well under prohibition because they were not as dependent on alcohol sales as other restaurants, had to step up their marketing at the end of prohibition. Fortune cookies were one of the gimmicks adopted by Chinese restaurant owners. The government locked up all the Japanese in America — including those who made fortune cookies — in 1942. (Two-thirds of those Japanese-Americans were citizens, since mostly American-born). Fugetsudo, Benkyodo, Umeya. They all shut down. Many Japanese-American businesses didn’t open up until well after they were released, since so many had lost everything or sold everything for pennies on the dollar. At the same time there was a surge in interest in Chinese food during the war because 1) China was an U.S. ally and not as strange and threatening and 2) Chinese food made a little bit of meat go a long way under war time rationing. The Chinese moved in en masse into manufacturing, and through their networks, spread the fortune cookie across the country. So to summarize the fortune cookies: the Japanese created it, the Chinese popularized it, the Americans consume it. For more stuff, read the book.